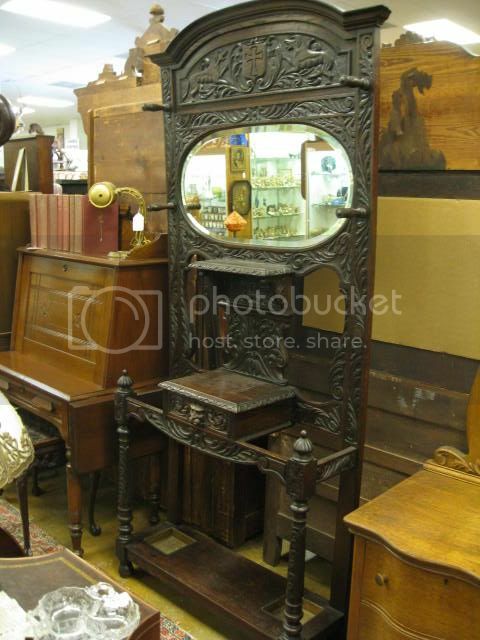 Victorian furniture we have in our antiques and art mall now. Our inventory changes daily, these are some of the latest pieces. As Southwest Florida's most active antiques mall we acquire furniture almost daily. We have antique furniture, mid century modern furniture, vintage furniture, victorian furniture, and everything in between. If you have furniture to sell we buy furniture of all types. If you want to sell furniture, consign furniture, or need a furniture appraisal Contact Us! Beautiful pedestal stand with marble top. 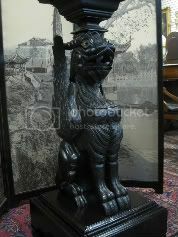 The hand carved griffin has glass eyes and is in great condition. This piece was made in the late 1800's and looks very nice. It stands just over 40" tall. 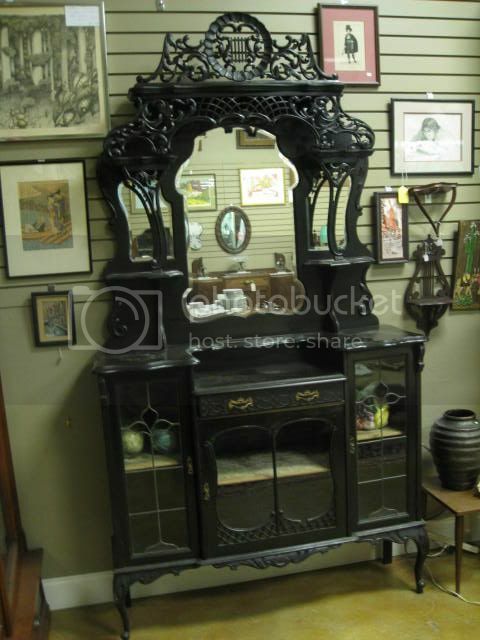 This is a very ornate victorian antique etagere with elegant detail. It features very delicate carvings, curvatious lines, and stained glass. This is a nice example of a piece of victorian furniture from the aesthetic movement and it's just one of the many great pieces of antique furniture we have in our huge antiques mall. This is truly a unique antique. This amazing gentleman's shaving stand has a nice victorian style and looks great. It has a swivel mirror that you can raise and lower held in place by a beautiful wooden frame. There is also a drawer to store all of your antique shaving needs. This is the nicest shaving stand we have seen and a real antique treasure. This is a perfect example of victorian renaissance revival furniture. 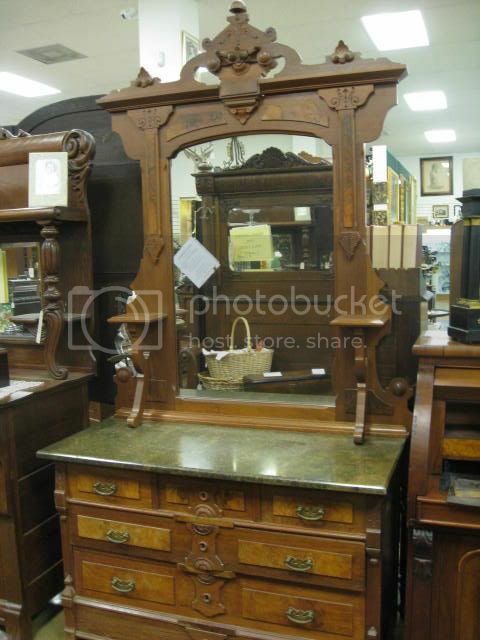 This amazing antique dresser features an over sized antique mirror above a beautiful marble top. It has burl wood accents, large drawers, and candle stands. This piece of antique furniture stands 91" tall and is 46" wide. This is a great example of the antique furniture you will find in our antiques mall at an incredible value. This is a heavily carved antique oak hall tree. Ornate lions decorate this piece of amazing antique furniture. The work that went into making this is incredible. It even has a lion's head on the large pull out drawer. This is a large piece standing 83" tall. This is a great antique English hall tree and just one of the pieces of antique furniture we have in our antiques mall. 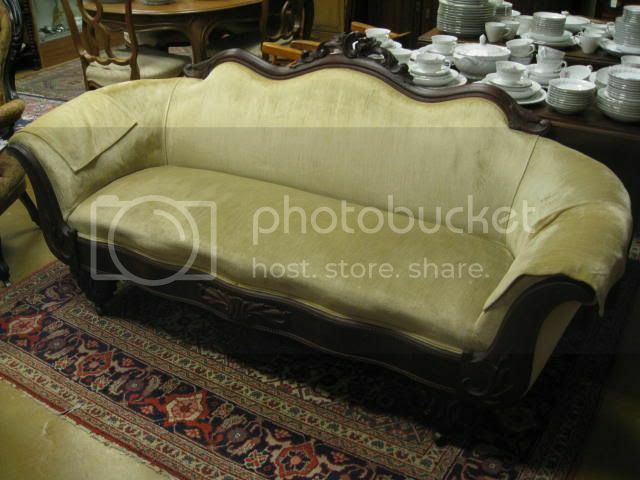 This is a very nice antique sofa we have in our antiques mall. It's a great piece of antique furniture that could be used for decades to come. 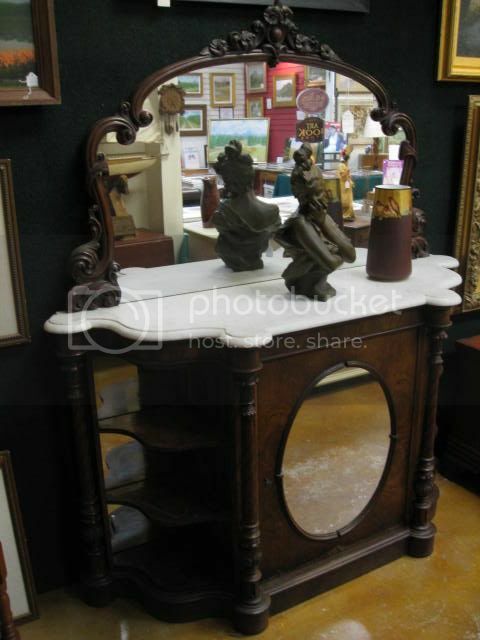 It has a nice carved wooden head rail and base. This antique sofa also has it's original wooden wheels on the feet. Victorian Furniture is a general term used to describe antique furniture that was made during the reign of England’s Queen Victoria. She was born in 1819 and ruled the country from 1837-1901. Due to the long time span – 64 years, Victorian furniture falls into quite a few categories of antique furniture. Some styles came into fashion and then died out, other styles co existed with each other. All the styles of the period fall under the term Victorian furniture. Early Victorian furniture design drew from the past. Gothic Revival was prevalent. Castles and medieval churches inspired it. The middle class wanted to have furniture similar to royalty. Chairs had high backs, heavy wood such as oak, mahogany and rosewood and dark stains were used. Carved elements including pointed arches and trefoil shapes adorned the furnishings which may have had plush velvet or leather upholstery. From around 1850-1900s the Arts & Crafts movement became popular. This style of Victorian furniture stripped away most of the ornamentation and focused on form and quality. During this time period, a competing style of Victorian furniture called the Aesthetic movement was also in full swing. Aesthetic furniture was influenced by Japan. It often had ebonized wood. Gilt accents were often used. Peacocks and other birds found there way into this design style. Art Nouveau is also another design that began during the Victorian era and continued past it into the early 1900s. This style of Victorian furniture was based on nature. Straight lines were no longer in vogue. Organic plant motifs influenced the furniture design. Many curves were used. Flowing, curvaceous lines characterize antique furniture of this era. These styles and more were all co-existing during the late Victorian age. Renaissance Revival with its very large furniture, use of burl wood and animal head carvings played an important part during the late Victorian era. There was also the classic late Victorian furniture with over-the-top rococo carvings, which many felt were excessive. Charles Eastlake produced furniture within this time period that was characterized by a return to straighter lines. His designs were so successful that may copied his style and today that whole genre of Victorian furniture is known as Eastlake. 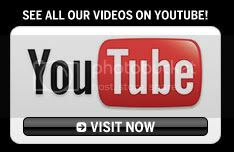 Click here to go from Victorian Furniture to Home Page! See some of the antique oak furniture we have. Click here for our Victorian furniture. 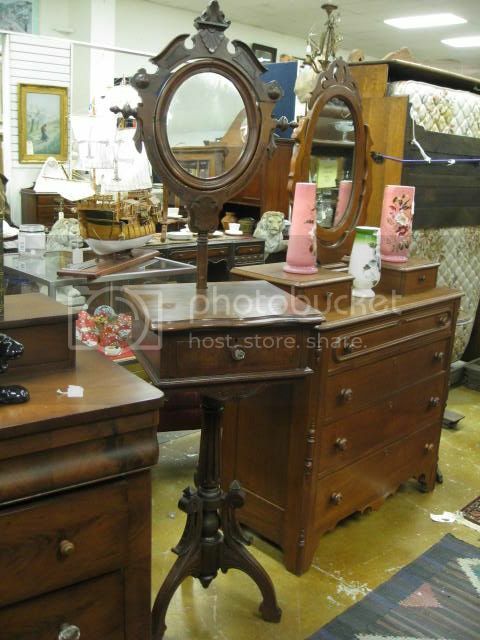 See some of our antique desks from our mall. Mid century modern furniture & accent pieces.